For the 20th anniversary after the fall of the Berlin Wall, The Guardian has gathered a number of online projects reflecting its history and present. Para el 20 º aniversario de la caída del Muro de Berlín, The Guardian ha reunido una serie de proyectos en línea que refleja su historia y presente. 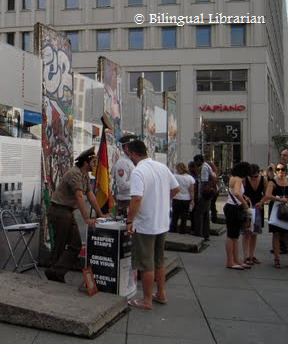 2 Responses to "The Berlin Wall, 20 years later"